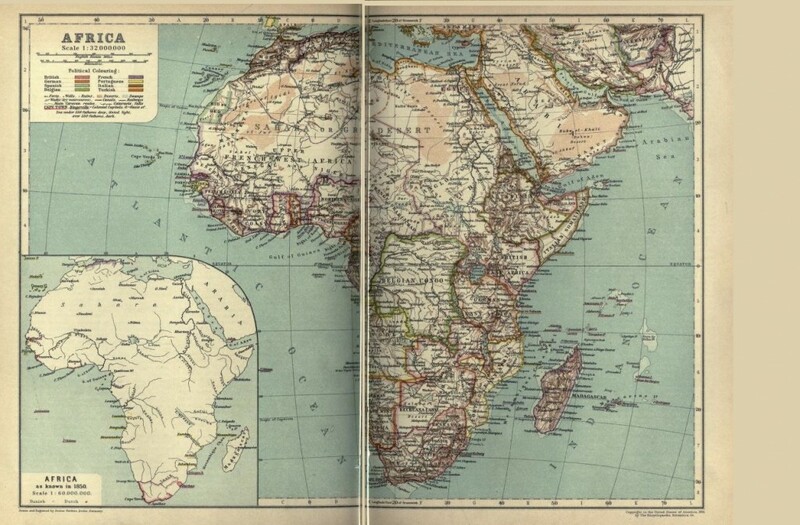 A lovely colored Africa map from an 1911 encyclopedia that covered two pages. It shows the various countries who owned/controlled various portions of the continent. Too bad the scan or the original print did not match the two halves of the country properly. I went ahead and put the two pages in one image but left a seam down the middle. Perhaps you could use one half or somehow camouflage that the two halves don’t meet. I thought it interesting considering this 11th edition of the Encyclopædia Britannica, where so much time and effort was invested on creating a scholarly edition that one the map would be oddly matched and two it was already 60 years old at the time of publication.